Daniel Serrano de Rejil has long experience in leading the promotion of sexual health and young people’s sexual rights in Mexico and all over the world. As a member of the Global Youth Coalition on HIV/AIDS, he has worked closely with youth to actively promote different initiatives created and developed by young people on HIV/AIDS and issues relating to the LGBT community. In the beginning of 2012, Mr. Serrano started working with young people held in juvenile detention centers in Mexico City through workshops with the aim of raising their awareness about their legal rights context of non-discrimination based on sexuality. During this training, Daniel realized that the operative staff of these communities refuses to accept the existence of any sexual relations between young boys infected with HIV/AIDS. With this serious problem, the number of boys who could have become infected with HIV is unknown, so that Mr. Serrano decided to change this situation and look for financial support to put his ideas into practice. 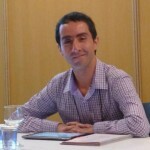 His JusticeMakers’ project sought to implement an awareness raising program aimed at 80 members of the operative staff of five juvenile detention centers in Mexico that work with underage boys in conflict with the law with the aim of showing them the importance of non-discrimination, detection and attention of HIV/AIDS in this population. With the collaboration of DGPTA (Dirección General de Tratamiento para Adolescentes) and Condesa Clinics, young people living with HIV/AIDS in these centres were also be identified during the project implementation. Results: With his Project Mr. Serrano implemented a training program for the staff of several juvenile detention centres in Mexico. He managed to reach 73 members of the prison staff as well as 13 police officers. They were made aware of their duties in the prevention of HIV/AIDS among the youth in jail and about the importance of non-discrimination based on sexuality, as well as detection and care of HIV in accordance with official health standards. In addition, Mr Serrano organized workshops in juvenile prisons located in 5 different areas of Mexico. These workshops and activities were carried out through an authorisation agreement and were aimed to sensitize the young detainees on the precautions which should be adopted to limit the diffusion of HIV/AIDS. During these training sessions and workshops, the prison staff and the youth were provided with information material.